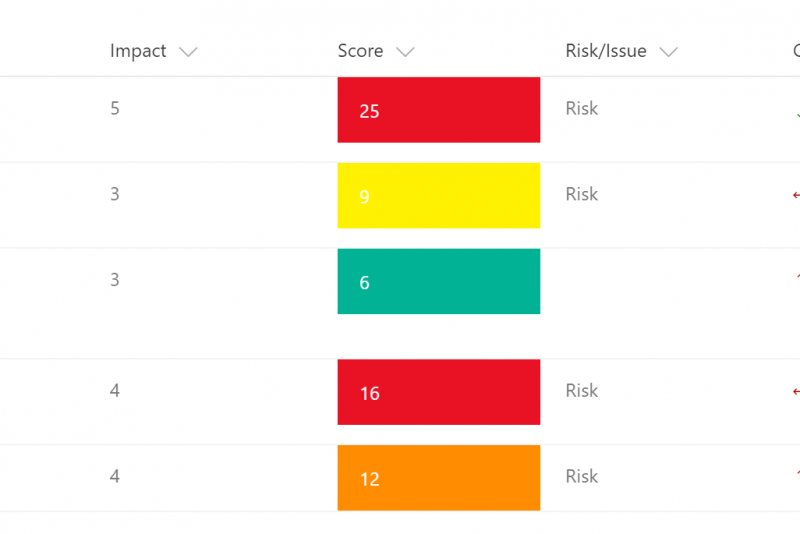 The long awaited SharePoint Hub Site recently rolled-out to targeted release and in this blog I am exploring how this fits in the Office 365 / SharePoint family. 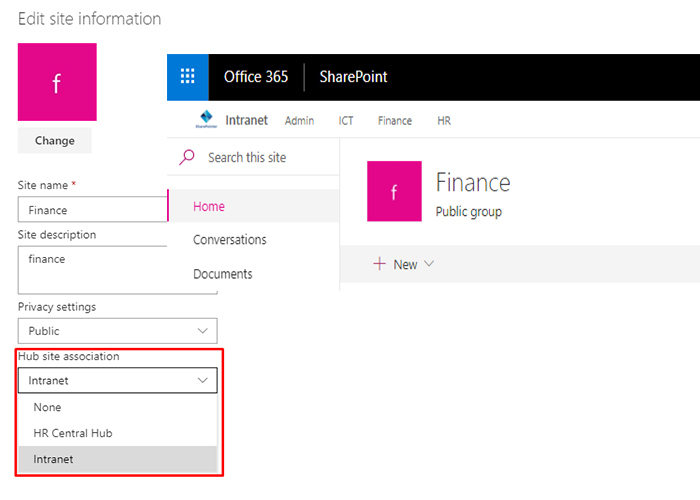 Microsoft has been promoting the flat structure philosophy after Office 365 Groups were launched and Hub site fills the missing piece in jigsaw. It aims to replace the tradition / classic intranet for organisations. You can currently only do this through a PowerShell cmdlet. I used PnP PowerShell module, but you can use SharePoint Online PowerShell cmdlets, if preferred. Hub Site does not do anything to your existing content so you don’t need to worry about existing content which converting/registering the site. After the site has been registered, we will see the ‘Hub site association’ drop down list under Site Information. We cannot associate one site with multiple Hub sites. The Site Owner can disassociate the site from the Hub site. The same can be achieved using PowerShell. 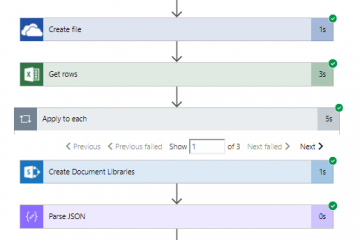 We can use SharePoint Site Design and Script to automate the Hub site joining process. You will need the Hub Site ID to pass to schema which is available through ‘Get-PnPHubSite’ PowerShell cmdlet. With the flat structure of Group team sites, the Hub site navigation plays an important role. 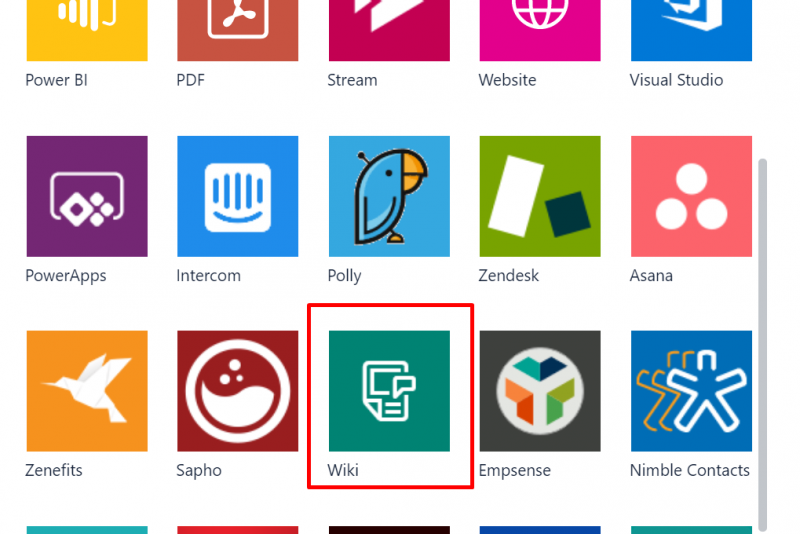 We get a top navigation bar where links for the associate Hub sites can be added. The ‘Edit’ link will only appear in the Hub site, since links cannot be changed from the associated sites. We can also add custom links. For example, Finance hub might want to add links to a Finance related system they would normally use. Hub site selected themes automatically get applied to all the associated sites, which is great for maintaining the consistent branding for the organisation. But it cannot be changed at the Group team site level. If you would like apply custom branding to hub site, the easy way would be to use Site Design and Script. The news items published by different associated department sites gets rolled out to Hub site (although don’t still see the Hub site News layout yet in my tenant, but default layouts still works fine). The new items will not appear immediately, as the Graph/Search will take few minutes to kick-in so get a coffee! The same will apply to changes made in the new items. If you have more news items, you will get a ‘See all’ link which redirects the user to a page with all the news displayed (see the Manage Post comment below). This web part would be useful to present the latest or trending documents from the associated departments. We can also use Managed properties to filter documents with specific metadata. 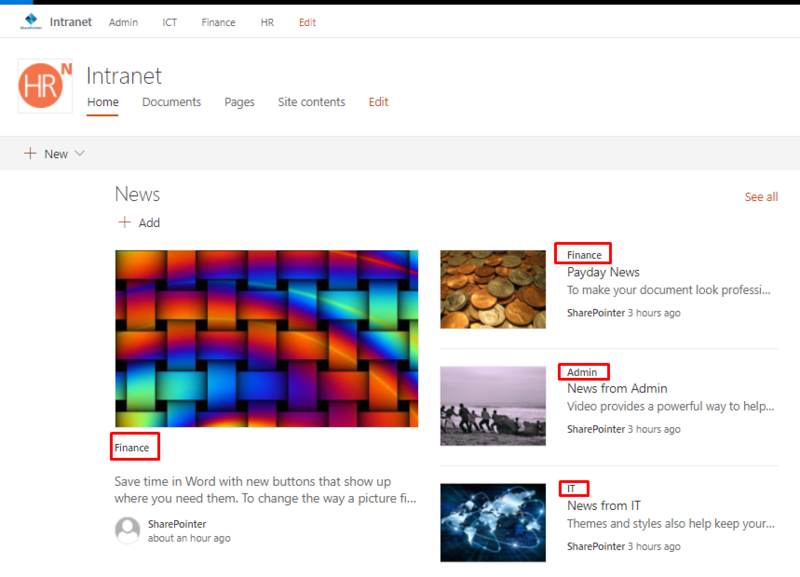 How do we address the approval process of organisation’s intranet news? Certainly, some organisations would love to have an oversight of how these news are published on the intranet. I can see a workaround through document library content approval and MS Flow. Roll out of news and documents is relying on the Graph/Search and you might not see the news immediately after being published, it takes few minutes (which may be an issue for some as news is not considered news after 5 mins). The same applies to the changes made by the users. Although the site is responsive, in the mobile view, we don’t get the Hub site navigation. I understand from @andyhaon that IOS is already there and Andriod will be coming soon. There is a limit of 50 hub sites per tenant which I can see getting used up quite quickly especially in the large / multinational organisation. I have posted the idea to increase/remove restriction on the user voice, please consider voting and add comments to provide specific scenario so Microsoft can see reasons why. The top navigation links do not get generated automatically so admin will have to remember all the associated’ departments. The top navigation links doesn’t allow you to open a link in a new Tab. The ‘Manage Posts’ button on the aggregated news page will redirect the users to Hub site ‘Pages’ library which is not what users will expect. Currently there is no way to order or filter the news. Sometime news is not considered worth a news, for example, staff announcement vs strategy direction news from the Head of Dept. There is no RSS Web Part (Group site do) in Communication site. I have seen some intranets, where RSS web part is a key. Therefore, something to consider between full-width page vs RSS Web Part or until this gets available in the Communication. If I want to make some basic CSS related change/customisation (changing width, etc.) you don’t have any options but to consider SPFx. I think Content Editor Web Part will be missed here. The Hub Site is a great additional to the Office 365/ SharePoint and forcing us to re imagine how modern intranet should function. It will definitely empower the end-users to do more with little efforts and without any code. Thanks for sharing. I am glad to hear that it helped. 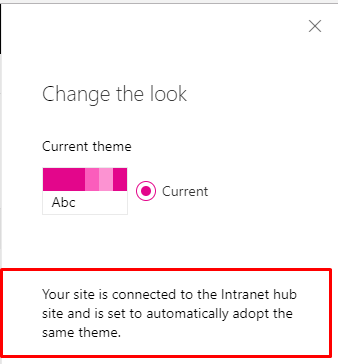 Do you know how to programmatically (through PowerShell, SharePoint CSOM, or REST API) have a site that was associated to a HubSite through PowerShell show up as a link in the HubSite navigation bar? I added a site through that method, and when I open each site, I can see that it is a member of the hub site, but no sites show up on the navigation bar and only “Add Link” is present. I don’t think that’s possible as yet or at least I couldn’t find a solution, that’s the reason I mentioned in the blog.